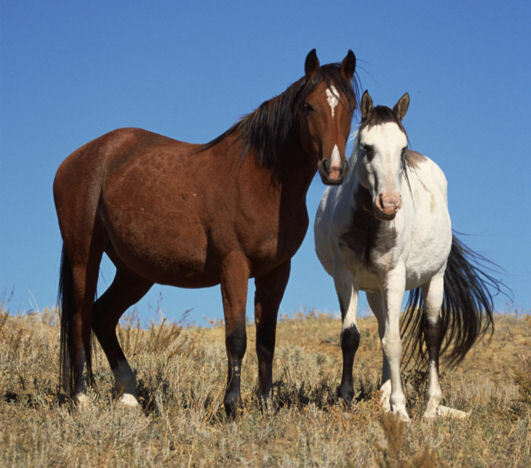 Special Features – Horses found in the wild today are descendants of domesticated horses that have run free and adapted to living wild in herds. The only breed never domesticated is the Przewalski horse. Family Unit – wild horses live in herds that consist of a number of mares, a single stallion, and foals and colts of a wide age span. The stallion is responsible for leading the herd to safe watering and feeding grounds and for protecting the females and young from predators. Diet – Grasses, herbs and plant materials form a major part of the diet.